The Boca Coast AC-Tech™ Moisture Wicking Performance Long Sleeve T-shirt for men is designed to out-perform and protect against all the sun can dish out, while keeping you cool and dry. This ultra lightweight shirt is ideal for all types of outdoor activities like fishing, sailing, swimming, hiking, surfing and any of your favorite sports where you need to keep cool and shield your skin from the sun's harmful rays. 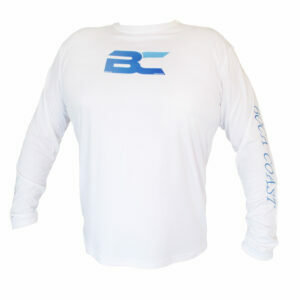 At BC we're all about inshore saltwater fishing, and our shirts are an essential part of any serious angler's gear. The reflection off the water can be brutal, while significantly increasing your exposure from all angles. Protecting our skin from burning is something we should all take very seriously in summer and every season. 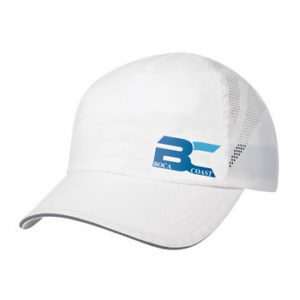 Our 100% Microfiber Polyester fabric provides UPF 50+ Solar UV Protection, the best and highest rating in the industry. Powered by AC-Tech™ (Always Cool) our proprietary fabric wicks sweat away from the surface of your body and pulls it to the surface of the shirt where it can quickly evaporate. 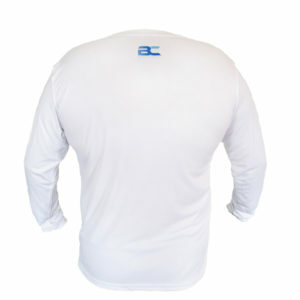 This also includes Anti-microbial technology, which is highly stain resistant and helps keep the shirt odor free. All this technology along with our sublimated graphics are permanent and will last the life of the garment. If you're looking for a high quality performance long sleeve t-shirt for a day on the water, we've got you covered. FREE Shipping! 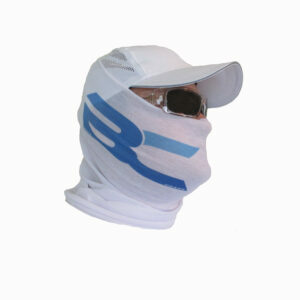 The BC Sun Gaiter protects your neck, face, ears and entire head from the sun with AC-Tech™ UPF Solar UV Protection. If you've ever worn a traditional Gaiter or Buff, the biggest issue is breathing. Both difficulty in breathing and fogging up your sunglasses when exhaling. 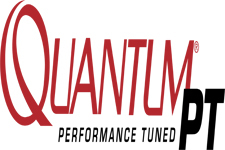 We developed a material enhancement that solves these issues as a result of feedback we received and our own experience. The idea is to be more comfortable out in the sun, while staying cool and not get burned. The material is an ultralight, tube sewn seamless microfiber fabric that provides super fast wicking and most importantly breathability. 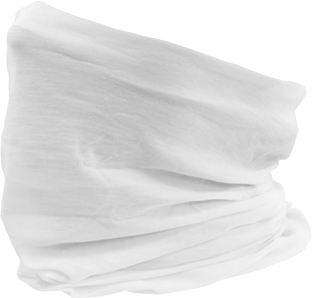 The sweat gets pulled to the surface quickly for evaporation while the material stays silky smooth and cool. You will also be able to speak to your fishing partner clearly without having to pull down the mask. We're out of the water all day and needed something that was comfortable staying put. Here it is. FREE Shipping! Welcome to Boca Coast, The Inshore Fishing Capital of the World! From Sarasota to Ft Myers, with the famous Boca Grande Pass being our epicenter. There’s no better spot in the world to complete your ultimate inshore saltwater game fish slam of monster Tarpon, Snook and Redfish. These three species are the most sought after inshore saltwater sport fish, bringing millions of anglers to our waters. 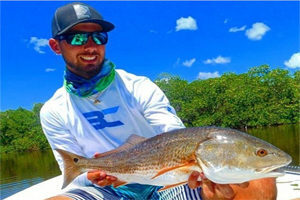 We cater to the serious inshore fisherman and anglers from all over Florida and the world who appreciate the products that result from the knowledge and experience of our area. 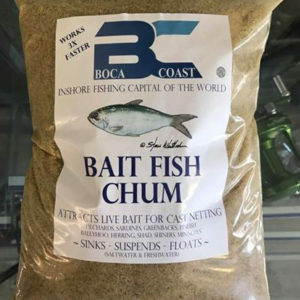 Our Bait Fish Chum is the flagship product we offer, which is the result of our professional full time guides requiring the best chum to catch live bait for their daily charters. 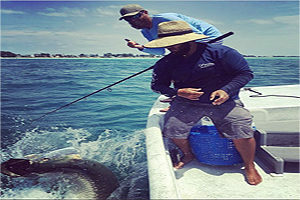 We have everything from inshore and offshore saltwater fishing, to brackish and freshwater fishing all within our 76 mile region. Boca Grande: Dozens of species abound throughout our bays, flats and passes. This increases the fishing excitement as you never know what might hit your bait. That’s the cornerstone of this ecological powerhouse, the baitfish. Such a wide range of game fish require an abundance of smaller bait size fish to feed on in order to create and sustain such a strong and balanced ecosystem. Chumming up and tossing a cast net for live bait is how we start most of our days. From whitebait to greenbacks, pilchards and mullet to pinfish and crabs, they’re all here in large numbers. This is more than a good place to fish, it’s the best. 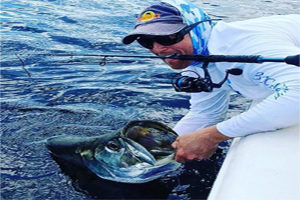 We invite you to plan a vacation to our area, find a local charter fishing guide or check out the latest gear to tackle our world class fishing. 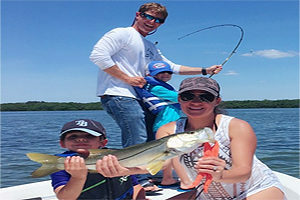 The majority of our visitors are here to fish and that’s the reason we live here, but we also have fantastic beaches and activities that make the Boca Coast of Southwest Florida a top family vacation destination. From Shopping, Golf and Watersports to great Restaurants and Dining, there’s plenty for the family to do while you’re out chasing silver kings and linesiders. Ft Myers Beach: Located on Estero Island, just south of Sanibel & Captiva Islands. Acting as a barrier on the Gulf side of Estero Bay with Lover's Key to the immediate south. This creates a saltwater and brackish water sanctuary for an abundant variety of fish species. If you're looking for an "Old Florida" adventure, the Estero Bay Preserve Park was opened in 1966 and was the first aquatic preserve in the state of Florida. Here you can have the best of both worlds. The Bay and preserve don't see a lot of pressure and there are countless spots that don't see many anglers throughout the year. A good technical skiff that can access some of the back country areas might lead you to some fishing reminiscent of years gone by. The restaurants and bars along the beach are casual and modern. This makes for a great spot to enjoy some beach time and fishing time while on vacation. Sanibel Island: South of Captiva Island which is separated by the famous Blind Pass, and wrapping around the southern tip of Pine Island. Sanibel offers great fishing from the Gulf side beaches to the Caloosahatchee river flowing into the harbor. Much of the island is a national wildlife preserve and it's been called the shelling capital of the world. This is considered by many to be a vast sanctuary that doesn't see as much pressure as it's neighbors. This makes for some great locations to fish for snook and redfish while the family enjoys white sand beaches and collecting seashells. If you want it all together in one area, look no further than Lighthouse Beach. There you'll find a fishing pier and the famous Sanibel Lighthouse which is 98 feet tall and great for the kids to explore. Built in the late 1800's to mark the entrance to San Carlos Bay for ships headed to Punta Rassa. There's even a 4 mile round trip Indigo Trail that is connected to the Wildlife Education Boardwalk. There's plenty to see and do here with quick access to some great freshwater peacock bass fishing as well. Longboat Key: A barrier island protecting Sarasota Bay, which is loaded with snook, redfish and trout. You’ll find plenty of resorts and hotels along the beach. 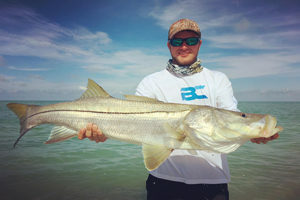 Big breeder snook run along the 12 miles of beaches during the summer BC snook run. If you want to chill on the beach all day with a rod in the sand, the flounder, whiting, pompano and ladyfish are all going to keep you busy. This place is one of the best in the state if you're after fresh fillets. White bait (pilchards) is abundant on the inside flats near the passes to the north and south for those with the best chum and a cast net. The bridge spanning between Longboat Pass and Bradenton Beach is a hotspot for anglers fishing from shore. Anna Maria Island is a short cast north of the pass which offers Rod and Reel pier and Historic pier. Both are well known for a great bite year-round and big sheepshead in winter. Sarasota: With more points of interest than just about anywhere else in South Florida, this is one of the best places on the entire Gulf Coast for a fishermen’s vacation. 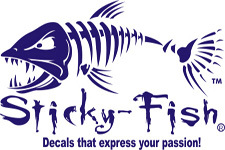 Freshwater and Saltwater anglers will find plenty of fantastic locations to take a shot at a trophy. Mote Marine Laboratory & Aquarium resides here and is a habitat for an abundance of marine animals. Myakka River State Park is a top pick for bass fishing and only 9 miles east of I-75. The river is great for kayak or canoe and it leads to Upper Myakka Lake. With 58 square miles of wetlands and scenic canopy, you'll find airboat and walking tours. This is also where a scenic hike will take you to a hangout for one of the largest groups of alligators in the world. Centennial Park and Boat Ramp is the most popular location to launch the boat for saltwater fishermen. From that point, head west a short distance to the flats for bait. If you’re willing to run a bit north, bait is almost guaranteed near the Skyway bridge. South of Tampa Bay, this is a smaller city that has much more culture and things to do than most can fit into a week’s trip. 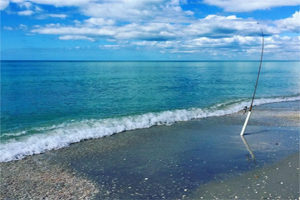 Lido Key Beach: Home to a small collection of luxury hotels and resorts, this is the choice for those looking to enjoy the finer side of Sarasota. St Armands Circle is located just inside this barrier island key. Shopping and excellent restaurants surround a small park at its center. Inshore and offshore excursions are popular with visitors departing from Marina Jack daily. Sportfishing for kingfish, tuna and mahi-mahi in a climate controlled cabin while enjoying a day on the Gulf of Mexico is hard to beat. There's a shallow water boulder jetty that marks the end of the public beach. This is great locale to wet a line with a lot of live bait in the area which attracts predators. This also creates a habitat for wildlife and thus perfect snorkeling destination. Depending on the tide, it's typically shallow all the way out to the submerged section at the tip of the jetty. Beginners and kids will find it a comfortable venue to learn. The southernmost tip of the key offers South Lido Key Park with paddle boarding through the mangroves, kayaking & bird-watching. Siesta Key: Famous the world over for white powder sand, the beach is #1 on more lists than any other. There's a little strip of bars, shopping and restaurants that offer fun times and great nightlife. For anglers looking to hire a charter guide for a day of fishing, you'll find plenty here. Crescent Beach offers Point of Rocks. Here you'll find a spot that holds fish in holes among the rocks and a short wade out will put you in some renowned territory. Kids love to explore and clime around the rocks. 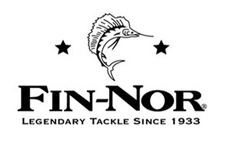 It's a really unique place to take the family and hook into some challenging fish at the same time. It's also a very romantic location during sunset time with many photographers listing it as their first pick for a postcard shot. Big Pass is a long sweeping pass with a lot of structure on the bottom which holds fish. Stickney Point and North Key Bridges are the connecting bridges to the mainland. 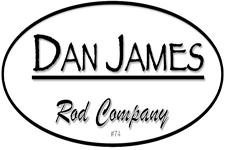 These are popular for both land based fisherman and those on vessels. The nighttime bite is usually hot here in the shadows of the bridge. Turtle Beach Lagoon has a nice park with a playground for the kids and a pier for dropping a line. There's also a seawall section of the lagoon where you can find some large predatory fish hanging out and waiting to ambush unsuspecting passing whitebait. Punta Gorda: Where the Myakka River, Peace River and Charlotte Harbor all meet. This provides fantastic access to several major stomping grounds for an inshore slam. Laishley Park has a marina where you can launch you boat and is home to Downtown Bait and Tackle. From there you can head to El Jobean bridge, 41 bridges, Boca Grande Pass, Pineland, Turtle Bay, etc. The list of holes is quite extensive, which makes this one of our top choices in Florida. We love the town as well, with its charm and quaint atmosphere. There’s several great restaurants and hotels all within easy walking distance. With so many producing spots all around the area, you’ll be well served to hire a guide at least your first day out. You can easily stay here for more than a week and not even get close to hitting every honey hole this place has to offer. Manasota Key: Comprised of Englewood Beach and one of the longest keys in Florida, Lemon Bay with Redfish Cove make up the interior. The fishing pier is located at Anger Park and there’s a dock on the inside of Blind Pass Beach. Although it’s a bit hidden, you’ll find it on the back side of the parking lot. If you’re looking for the closest thing to what the Florida Keys used to be like 20 years ago, this is it. The drive along the beach covered with tree canopies and then open up to white sand beaches. The northern tip has been called the shark tooth capital of the world. There’s a nice facility Most shops carry shell sifters which allow you to scoop up sand about 10 to 15 feet from shore and you can find a shark’s tooth in almost every scoop. It’s kind of like panning for gold and kids of all ages absolutely love it. Stump Pass is on the Southernmost tip and offers great trails winding through to the point. It’s worth a little bit of the walk down (< 1/4 mile) from the parking lot. Ocean side has the only Black Sand beach in Florida and the bay side has little nooks that hold fish in the drop off troughs. There’s a new jetty to protect against erosion and we are seeing great congregations of bait and big snook being caught off around it. Outgoing tides are best here. 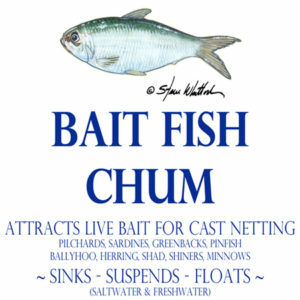 Let your bait drift free lined in the current for some easy hook ups. Cape Coral: Right in the heart of everything, many of our top spots listed here literally surround the cape. Pine Island with Matlacha, Bokeelia and Useppa is to the west. Sanibel and Captiva Island is southwest. Ft Myers Beach and Estero Bay are southeast. If your goal is to fish all of these spots, then you will find the Cape is the place to stay. The jewel of fishing here is the brackish lakes and canals. They hold bass, snook, tarpon and peacock bass! This is the only spot in the world where you can catch all of these species in the same body of water. As you head south towards Naples, the peacock bass population gets more prominent. 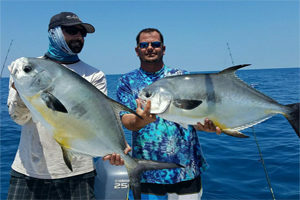 The Boca Coast is an amazing choice for a fishing destination vacation. It truly lives up to its designation as the Inshore Fishing Capital of the World.